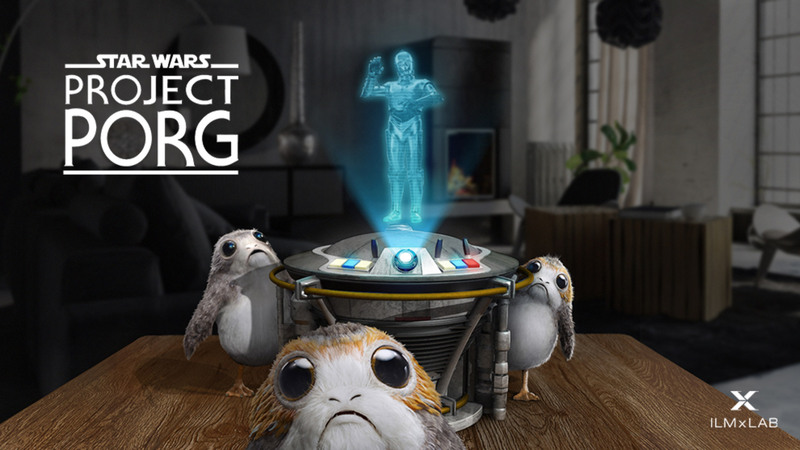 ILMxLab, Lucasfilm’s immersive media group, today announced Star Wars: Project Porg, an augmented reality “experiment” built for Magic Leap. 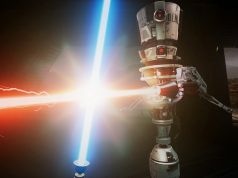 In the experience, players will interact with the big-eyed fuzzy creatures introduced in The Last Jedi, with some helpful guidance by C-3PO himself. 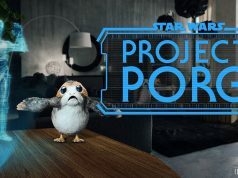 Just ahead of this week’s Leap Con conference, ILMxLab has announced the Star Wars: Project Porg “experimental demo” for the headset. As of now it’s unclear if the studio plans to release the experience to Magic Leap owners, or if it’ll be kept for demo purposes only. 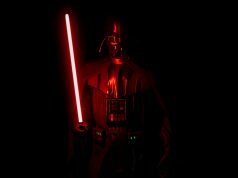 However, back when the studio first revealed the Trials on Tatooine (2016) VR experience, it did eventually make it publicly available for Vive users after keeping it close to the chest for a while. Whether or not you’ll be able to download it on Magic Leap right away, the company at least says attendees of Leap Con can expect to see the demo this week. Inside, they’ll need to earn the trust of the porgs by interacting with them, including “[teaching] them how to maneuver real-world environments […].” The iconic C-3PO will be present to help the player learn to care for the critters. ILMxLab says in the announcement of Star Wars: Project Porg that they’ll be talking more about the experiment on stage during the Leap Con keynote on Wednesday, as well as a session during the conference. Road to VR will be on the ground at Leap Con to bring you the latest, stay tuned!